Are you on the hunt for the best Gifts for RV Owners in your life? We’ve rounded up 15 of our favorites we personally love and use. Finding the right gift for each person on your list can be a grueling chore. I always look for inspired gift ideas when it’s time to shop, so I thought it would be nice if I offered you some inspired ideas of my own this year. Since I have spent 17 months living in my RV, I feel like I’m qualified for this task. So let’s get this guide rolling! Please forgive me, but I am going to start off with the least inspired gifts for the RV owner first, just to get it out of the way. And who knows, maybe this is the most helpful suggestion for you! 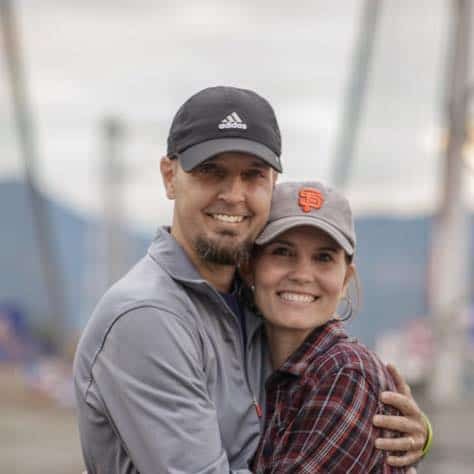 Here’s the truth: As we were setting off on our RV adventure in 2017, the vast majority of the essential RV accessories that I needed were available on Amazon. And that’s where I bought 90+% of them. But…there are about 80,000 listings for RV accessories on Amazon! That can be overwhelming, to say the least. So if you’re not able to sift through that pile, or even make it through my list here, the Amazon gift card is probably your safest best for any RV owner. And that’s why this one came first. You are able to choose an eGift card (where you just deliver a gift code to them) or a print-at-home gift card, so make the choice that’s best for your situation. This makes the perfect gift for travel trailer owners, 5th Wheels, etc since they can choose exactly what they want. Gift cards for RV owners are a fantastic idea and will be well loved and used. If there is one thing that has been very consistent throughout our travels, it is the use of our America the Beautiful National Parks Pass. I can’t even tell you how many visits we have made to the parks overall (we’ve visited 15 different parks), but I can tell you without a doubt that this pass has saved us many hundreds of dollars. For a full year, the RV owner in your life, and four persons in their vehicle, can explore the national parks until their hearts are content for just $79.99! 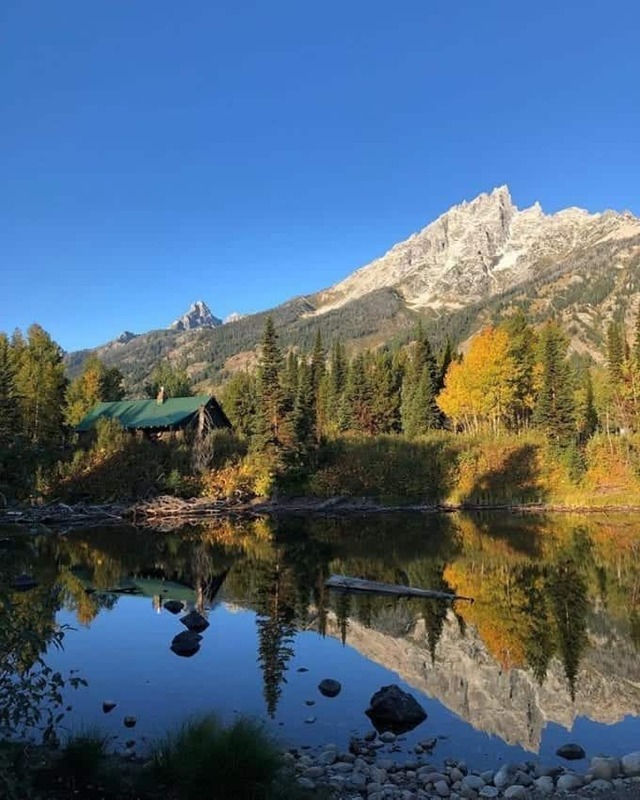 Now, you would think that the best (and cheapest) place to buy this pass online is through the National Parks official website. But you would be wrong. Buying the pass through REI actually saves you $10 that you would normally be charged by the government website for the online (or mail) purchase. If you want to throw an extra $10 in to support the parks, then by all means purchase through the NPS website. I can’t put into words how much our national parks experiences have added to our travels. Without those experiences, our continental adventure would have been nothing close to what it has been. There is really no other gift I could recommend more highly than the National Parks Pass. It’s one of those unique gifts for RV owners that will be well appreciated. And if you’re looking for retirement gifts for RV owners, I encourage you to check out the Senior pass option if your recipient is 62 years or older…only $20 for an annual pass! 3. Harvest Hosts Membership – Wineries, Breweries and Farms, Oh My! As far as gifts for RV owners go, it doesn’t get much more unique and memorable than Harvest Hosts. This membership offers RV owners the chance to visit over 600+ unique locations around the continent for only $49 per year. The locations they can visit include wineries, breweries, cideries, farms and other unique spots. And there is NO CHARGE for visiting and parking an RV at these locations for a night or two. So, if you’ve got some wine or beer connoisseurs on your list, this gift gives them the opportunity to explore off-the-grid locations, meet great people AND enjoy their favorite beverage produced on site! And the chance to get away from the normal “RV parking lot” experience and really get their hands into some local goods may be the best part of this gift. We have loved our Harvest Hosts experiences and hope to have many more in the future. It is a gift that keeps on giving. Well, I’ve just got to throw this idea out there since we are talking about wine. As the husband of a wine-lover, I know these come in VERY handy while traveling in an RV. If you’re looking for gift ideas for RV owners and wine lovers, this is it. There are all kinds of options out there, including stainless steel wine glasses, so think about this as a possible “companion gift” to the Harvest Hosts membership above. I know, it really is a great idea, right? If there is one RV accessory for the exterior of our travel trailer that I am more thankful for than any other, it definitely has to be these Andersen Levelers. I recommended them in this RV accessories post as well, so you know I love them! I can’t even imagine how many more hours of frustration and headache I would have endured with the standard leveling block kit that requires you to guess at how many blocks to stack up and potentially move your RV over and over and over. If your beloved RV owner has a rig that does not include a self-leveling system (most likely a travel trailer), you will absolutely be their new favorite human for introducing them to Andersen Levelers if they are currently using the obnoxious blocks for leveling. This will become one of their favorite RV gifts they’ve ever received! Side note: If this is a really special someone you are buying for, you can even kick it up a notch and get the leveler kit that includes the non-slip rubber mats. These have come in very handy for us in a few wet and slippery situations, that’s for sure. Bottom line: Friends don’t let friends use a block leveling system. 6. Propane Fire Pit – S’mores for Everyone! Up to that point, we had encountered many locations that did not allow wood-burning fires at all. There were some that had complete fire bans and did not even allow the propane fire pits, but many of them did allow them. So we knew we were missing out on some “flame time”! And I love a good fire. Because of their gift, we have had far more opportunities to sit outside under the stars and enjoy a warm fire. And we think of them every time it comes out, there’s no doubt about that. If you want a memorable and very enjoyable gift that will remind them over and over again how much you care, a fire pit is the way to go. 7. Instant Pot for the Win! There is one kitchen appliance that my wife will absolutely tell you has made more sense than just about anything else in her RV kitchen for our travels. And that is the Instant Pot! For a small space like an RV, this handy gizmo is top notch at creating some fantastic meals to fill your belly. So I said my wife is a fan…but from a consumer standpoint I am just as much a fan as she is! We have enjoyed some incredible meals, that my wife claims are super easy to prepare, thanks to this appliance in shining armor. And I can assure you we will continue to use it regularly even when we are not traveling in our RV…it is so versatile and easy to use that you just can’t help but get it involved at mealtime. So if your RV owning loved ones are into cooking their own meals in the RV, you can’t go wrong with this beauty. They have sizes to fit every need, so take a look and choose the one that seems right for the RV owners on your list. 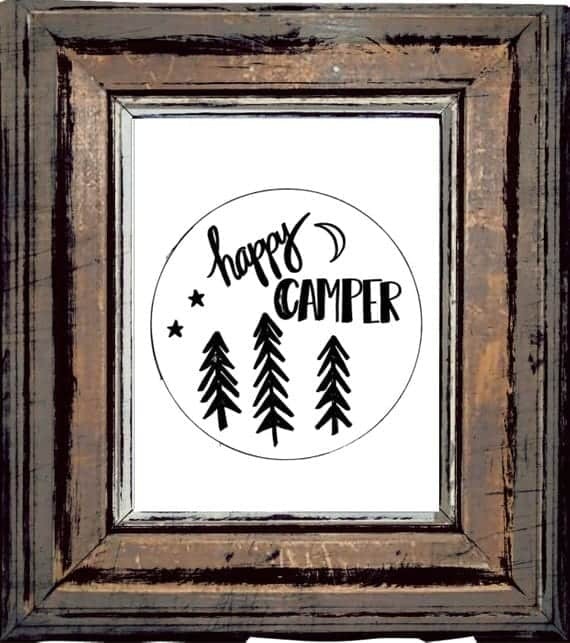 We rounded up a list of some of the coolest happy camper decor & gifts around. From mugs and art to t-shirts and throw pillows, there’s a little something for everyone. One of the easiest ways to decorate your space is with artwork you just print, frame and hang with Command Strips. If you’re giving this as a gift for RVers, go ahead and print it out and frame it for them. You could give your RVing friend a Happy Campers bundle which includes this framed picture, a mug and something else that catches your eye. 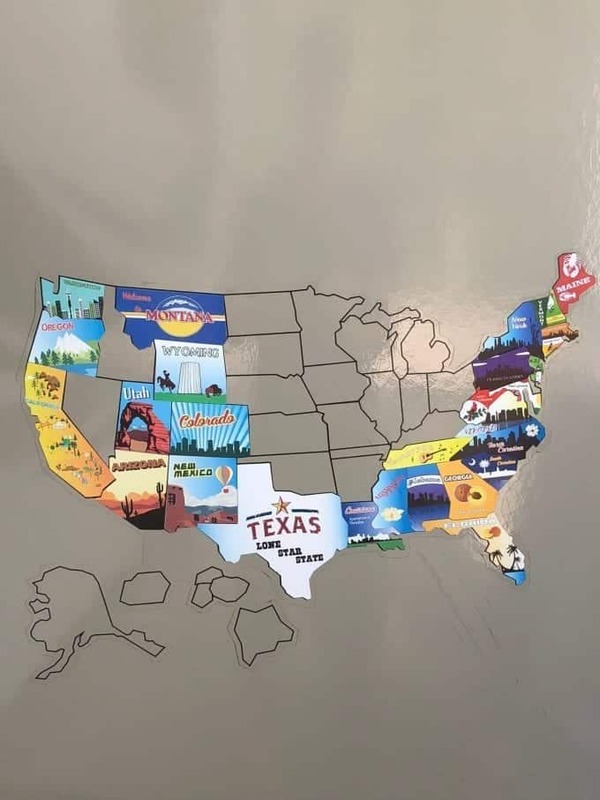 A fun way to track all the states you’ve visited is with this handy State Sticker Map specifically designed for RVs. We purchased one for ourselves and it was a great conversation starter with other RVers. We put it on our slide out along with our other sticker collection. Sticker maps are great gifts for travel trailer owners, 5th wheel owners, motorhomes…any type of recreational vehicle. We’ve seen RVers attach these to their slides, by their door and on the back of their rig so people can see where all they’ve been as they’re driving to their next destination. 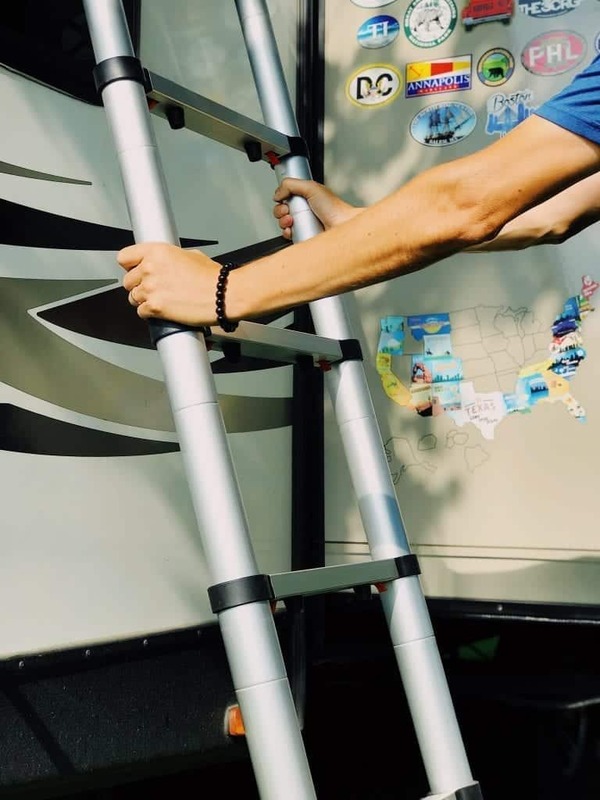 We purchased this ladder before we left on our 17 month RV trip and it was one of the best purchases to date. It got used over and over again for getting up to check on the roof, brushing leaves off the slideout and other RV repairs. And because it’s telescopic and lightweight (only 24 pounds), it easily fits in the passthrough of our travel trailer. A ladder is one of those things RVers need, but also one of those things that’s kind of annoying to spend money on. Which makes it one of those great gifts for RV owners! We wrote an article about the best RV coffee maker here and rounded up five different machines/gadgets. Your best RV coffee maker depends on how you like your coffee! If you’re buying a gift for someone (or yourself) who loves espresso, the Caprista by Espressotoria is one of our faves. 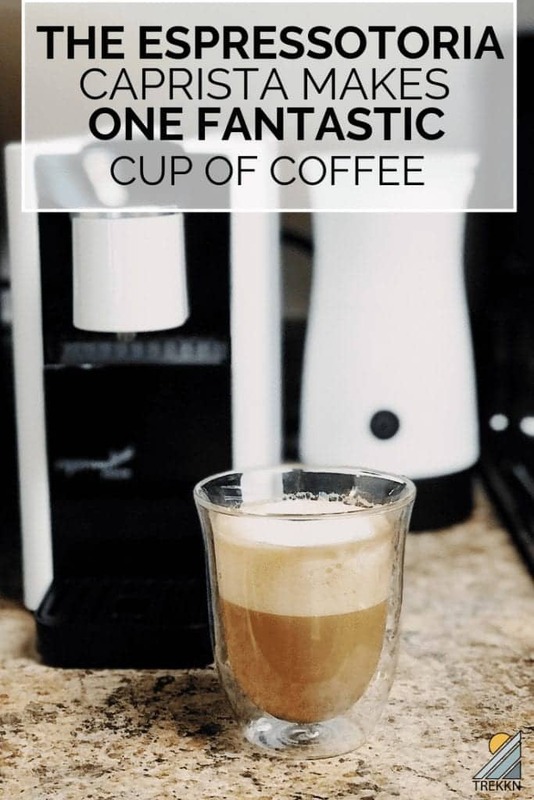 It’s compact and makes one heck of a good espresso, latte, flat white…you name it. Right after we sold our house and moved into the RV, I threw my back out. Not fun at all. So what I needed was a chair that took all the pressure off my lower back. That’s when the Zero Gravity Chair became a lifesaver. We purchased this one, which was pricey but it was well worth the investment. Not only did it help me recover from the back injury, but I use that chair every single day. It was perfect for some serious relaxing outside by the campfire. I even brought it in the travel trailer a couple of times for movie night. This one (pictured below) is under $40 and still super comfortable. 13. Portable Gas Grill – Telescoping Stand is Super Important! Grilling while RVing is a must right? A portable gas grill makes a fantastic gift for an RVer, but it’s important to get one with a telescoping stand. Why? Because quite a few RV parks have signs that ask you not to put your grills on their picnic tables. When we started RVing, we had a tabletop grill and let me tell you, grilling while having to squat down to the ground was not fun. That’s why we highly recommend one that can either go on the tabletop or the ground. This portable gas grill by Cuisinart is the perfect solution. There are times you’re on an RV trip and you’re perfectly fine with no cell signal. But then there are other times when you don’t want to be quite as unplugged, but you’re in a spot where the cell signal is very weak. Many times RV parks are located in these weird dead spots. Right outside the gate, the signal is fine but then you drive into the park and boom, no signal. We’ve also experienced times where your RV neighbor has a signal, but you don’t. You just so happen to be in a dead zone. The weBoost cell phone signal booster has saved us on many occasions. This one is good if just one cell phone needs a boost, but if you have multiple people using cell phones that need a boosted signal, we recommend this one. If you’re interested, you can read more about RV internet solutions here. Are you shopping for an RVer who loves to read? Well, one thing we found out really quickly while traveling was there was no room for the number of books we wanted to bring with us or buy while on the road. We all love to read, so we all have Kindles. This saved space in our RV and also allowed us to purchase a book that we wanted to read immediately. And those are the Gifts for RV Owners 2019 we highly recommend! 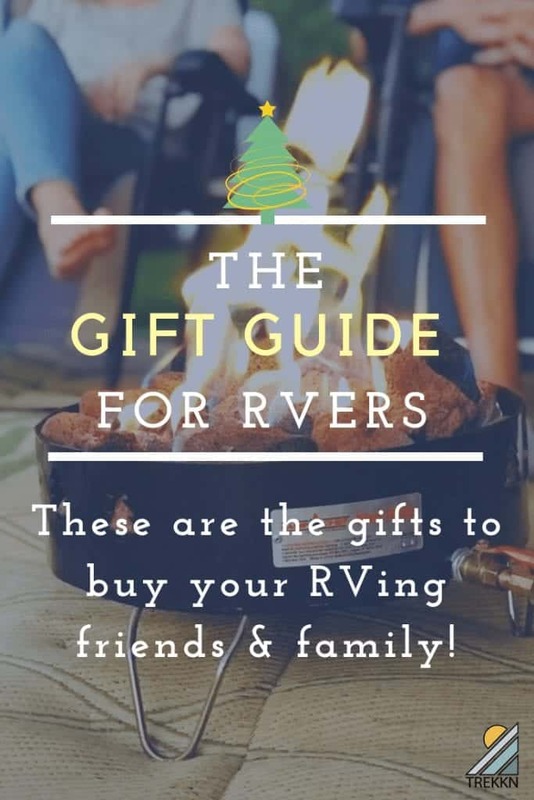 More than anything else, I hope that this gift guide for RV Owners has either shown you the perfect gift for the one on your list or has gotten the juices flowing for you. There’s nothing worse than being completely clueless when gift giving comes around. If you have any questions about this gift guide, please feel free to leave us a comment and we will get back to in a heartbeat. Thank you for being a part of the TREKKN community! Hi Christine! Thank you for sharing our site with your friend. I never would have thought about the fact that RV travel would be so much safer for those with allergies.